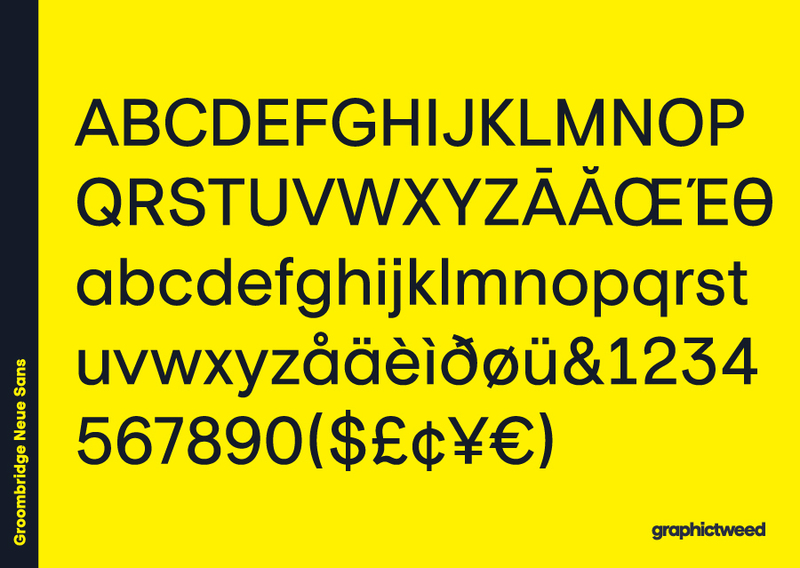 Meet Groombridge Neue a Neo-Grotesque family typeface full of personality and flavor. 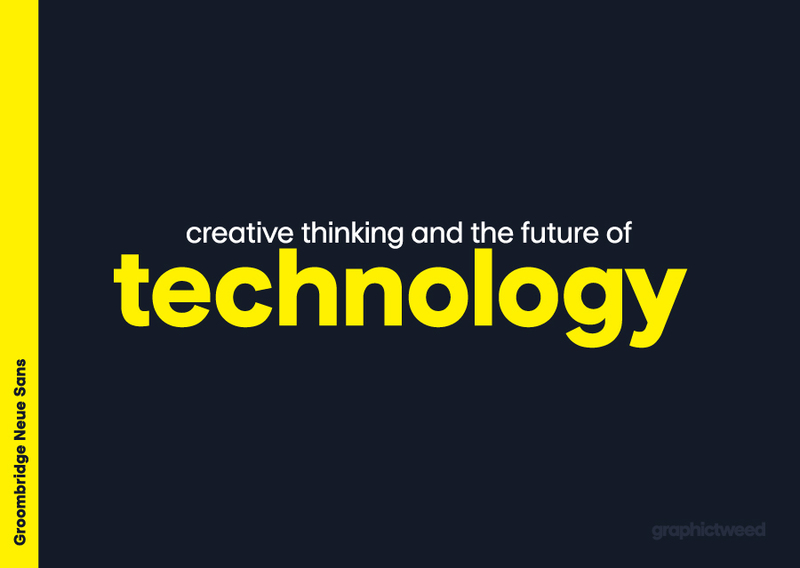 A display typeface in its nature, Groombridge Neue is free and informal yet stable and trustworthy. 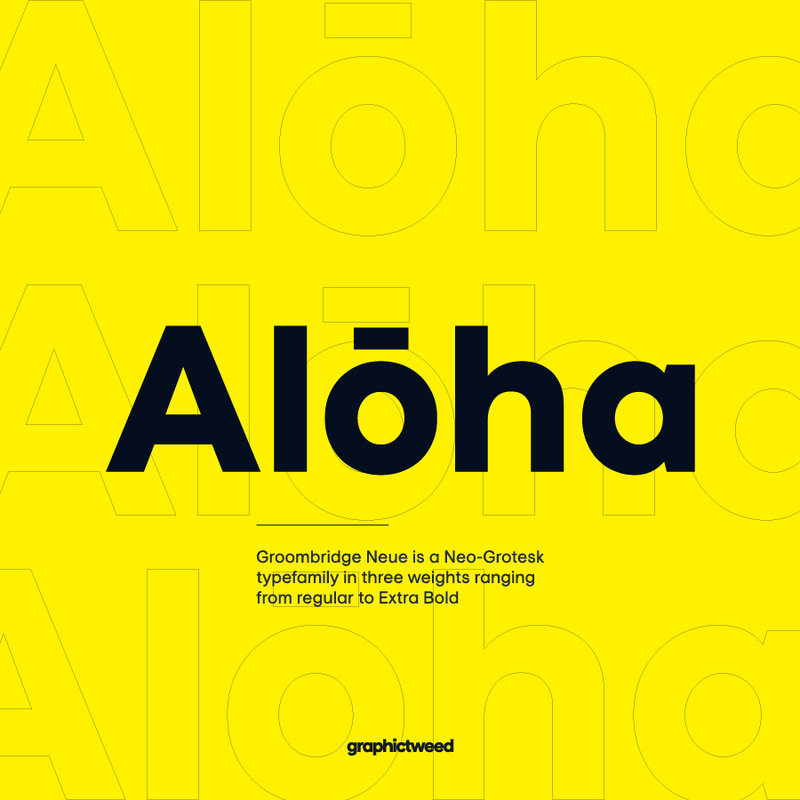 With its clean, minimal, modern gemetric typeface. 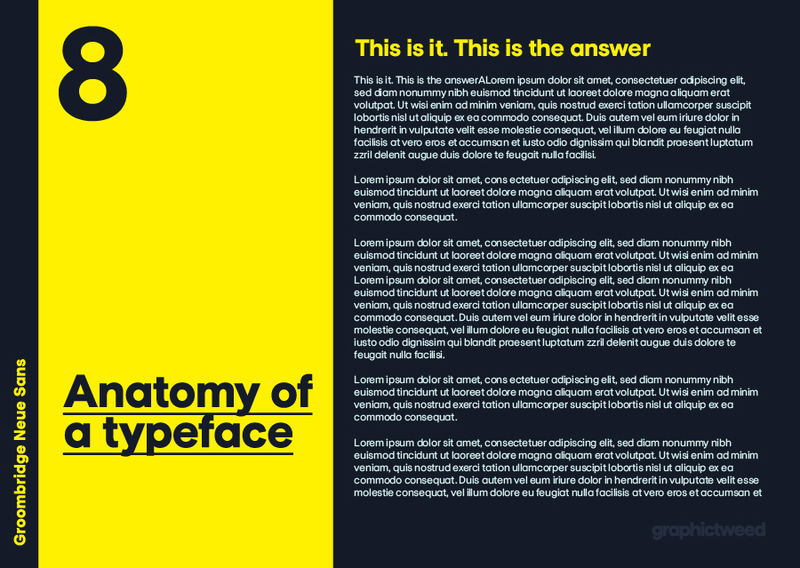 It looks smooth in any layout with its sleek rounded lines, use it for your magazines, brochures and editorial layouts. 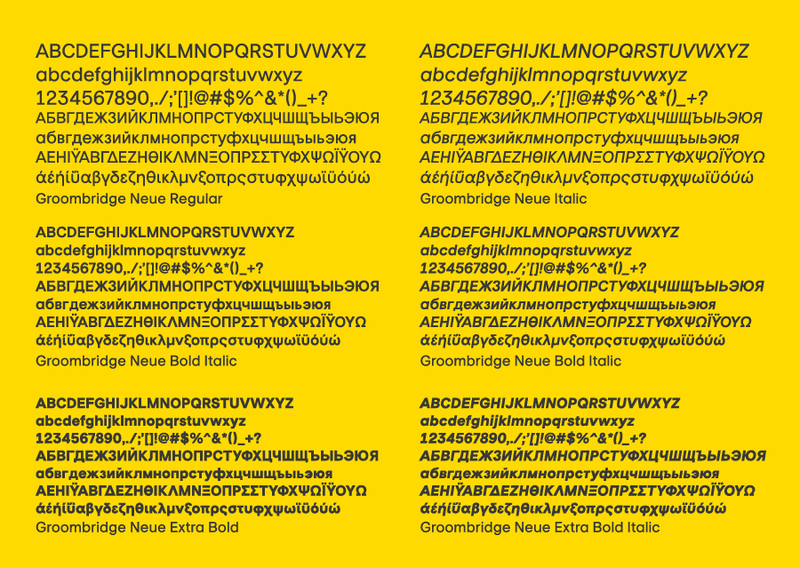 Groombridge Neue is the font for those ideas that need bold statement. With its grotesque and modernist structure. 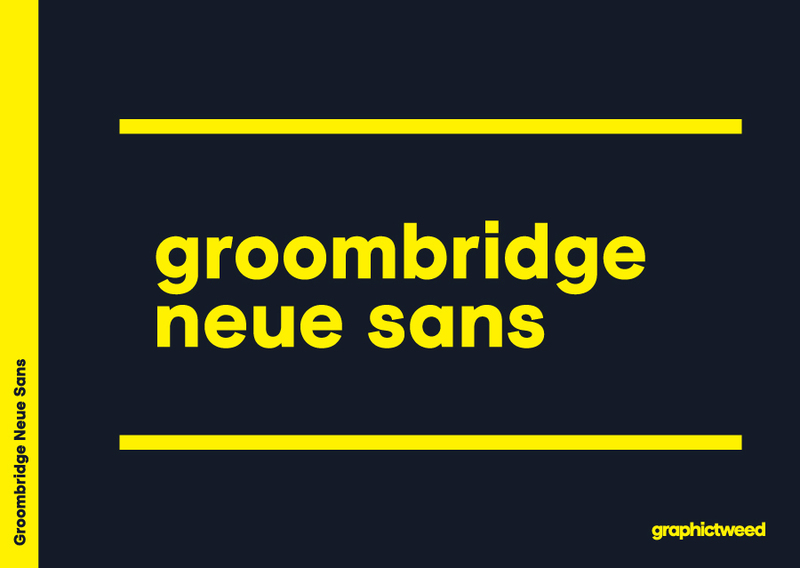 Groombridge Neue is easy for the eyes.